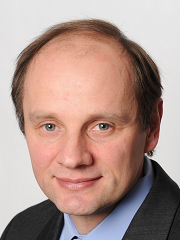 Prof. Dr. Uwe A. Schneider is an agricultural and resource economist with a strong background in agricultural science. His research interests relate to land use externalities regarding climate, water, soils, and nature reserves; impacts of land scarcity on food, biomass, timber, and species protection potentials; and market and welfare effects of environmental policies related to land use. Uwe has a decade long expertise in mathematical programming with Generalized Algebraic Modelling System (GAMS) and developed, coordinated, and supervised several large-scale optimization models of various scopes in the realm of agriculture, forestry, bioenergy, and fisheries. Uwe grew up on a farm in a small village in the Eastern Ore Mountains about 20 km south of Dresden. After his high school education and the mandatory military service, he briefly worked for large farm cooperatives in East Germany. He then studied crop husbandry at Humboldt University, Berlin. In 1994, he went to College Station to study plant breeding and genetics at Texas A&M University. Within the first two weeks of his 1-year stay, he switched to Agricultural Economics. While pursuing a Master's Degree at TAMU, he began to be interested in integrated forest and agricultural sector analysis. He added a comprehensive greenhouse gas emission module to the US agricultural sector model. The application of the new Agricultural Sector and Mitigation of Greenhouse Gas (ASMGHG) model to study important policy questions resulted in his dissertation and several follow-up publications. Since 2002, Uwe works at Hamburg University where he teaches courses on mathematical programming, dynamic optimization, agriculture and environment, GAMS, and the European Forest and Agricultural Sector Optimization Model (EUFASOM). He is the principle developer of EUFASOM and most of his current research uses this model or contributes to its development. Uwe was a contributing author to the IPCC's fourth assessment report. He serves as regular reviewer for a wide variety of academic journals and research funding proposals and he is actively engaged in two International Max-Planck Research Schools. Project title: "Economic Implications of the Boll Weevil Eradication"
Lara-Estrada, L., L. Rasche, L.E. Sucar, and U.A. Schneider (2018), Inferring Missing Climate Data for Agricultural Planning Using Bayesian Networks, Land 7:4, https://doi.org/10.3390/land7010004. Okoro, S.U., U. Schickhoff, and U.A. Schneider (2018), Impacts of Bioenergy Policies on Land-Use Change in Nigeria, Energies 11(1):152, https://doi.org/10.3390/en11010152. Shu, K., J. Scheffran, U.A. Schneider, L. Yang, J. Elflein (2017), Reconciling food and bioenergy feedstock supply in emerging economies: Evidence from Jiangsu Province in China. International Journal of Green Energy, 14(6):509-521, http://dx.doi.org/10.1080/15435075.2017.1297307. Schneider, U.A. "GAMS Interface for linking the Global Forest Model (GFM) and the European Forest Agricultural Sector Optimization Model (EUFASOM)." Hamburg University, last updated June 2009. Schneider, U.A. "GAMS Interface for integrating global development scenario data from the Special Report on Emissions Scenarios (SRES) and the Millenium Ecosystem Assessment (MA) into the European Forest Agricultural Sector Optimization Model (EUFASOM)." Hamburg University, last updated April 2009. Schneider, U.A. "GAMS Interface for linking the Environmental Policy Impact Calculator (EPIC) and the European Forest Agricultural Sector Optimization Model (EUFASOM)." Hamburg University, last updated January 2009. Schneider, U.A. "GAMS Interface for linking the Spatial Wetland Distribution Model (Swedi) and the European Forest Agricultural Sector Optimization Model (EUFASOM)." Hamburg University, last updated December 2008. Schneider, U.A. "GAMS Interface for integrating forest and agricultural data from the online database of the Statistics Division of the Food and Agricultural Organisation (FAOSTAT) and the European Forest Agricultural Sector Optimization Model (EUFASOM)." Hamburg University, last updated June 2008. Schneider, U.A. "GAMS Interface for integrating agricultural data from the Farm Accountancy Data Network (FADN) into the European Forest Agricultural Sector Optimization Model (EUFASOM)." Hamburg University, last updated 2008. Schneider, U.A. "GAMS Interface for linking the OSKAR model and the European Forest Agricultural Sector Optimization Model (EUFASOM)." Hamburg University, last updated 2007. Schneider, U.A. "GAMS input data processing using AWK". Collection of small illustrative programs. 2009. Schneider, U.A. "GAMS - Stata". An interface to automatically link GAMS and Stata. February 2008. Schneider, U.A. "GAMS - SHADEMAP". A modification of Tom Rutherford's shademap interface with description and additional map data. May 2007. Schneider, U.A. "GNUPLOTXYZ - A GAMS interface to GNUPLOT 4.2" Software Interface and Documentation, March 2007, Last File Update in April 2007. Schneider, U.A. and B.A. McCarl. "GNUPLTXY - Linking GAMS to GNUPLOT" Software Interface and Documentation, August 1998, Last Update in September 2006. Schneider, U.A. "Documentation of Cropping Budget Computations. ", July 2001. Schneider, U.A. "Iowa State-Consortium for Agricultural Soils Mitigation of Greenhouse Gases (I-CASMGS)." Web page, June 2001. Koleva, N. G., U.A. Schneider, and B.A. McCarl (2010), "Pesticide externalities from the US agricultural sector – The impact of internalization, reduced pesticide application rates, and climate change", Earth System Science 2010: Global Change, Climate and People, AIMES Open Science Conference, Edinburgh, UK, May 10-13, 2010, Procedia Environmental Sciences 00 (2010) 000–000. Fritz, S., P. Havlík, U.A. Schneider, E. Schmid, R. Skalský and M. Obersteiner (2009) “Uncertainties in global land cover data and its implications for climate change mitigation policies assessment”, 33rd International Symposium on Remote Sensing of Environment (ISRSE-33), Stresa, Italy, May 4-8, 2009. Jantke, K., C. Schleupner, and U.A. Schneider (2009), “Benefits of increased data resolution for European conservation planning”, 33rd International Symposium on Remote Sensing of Environment (ISRSE-33), Stresa, Italy, May 4-8, 2009. Schönhart, M.; E. Schmid, U.A. Schneider, P. Liebhard (2009), “Crop Rotation Modelling for Integrated Environmental Assessment - Case Study Results and Empirical Evidence“, In: van Ittersum, M., J. Wolf, and G. von Laar (Eds. ), Integrated Assessment of Agriculture and Sustainable Development; Setting the Agenda for Science and Policy. Proceedings, 234-235. Schneider, U.A., C. Llull, and P. Havlík (2008), “Modeling Income Effects in a Partial Equilibrium Model”, The XIIth EAAE Congress, Ghent, Belgium, August 26-29, 2008. Sauer, T.P. P. Havlík, U.A. Schneider, G. Kindermann, and M. Obersteiner (2008), “Agriculture, Population, Land and Water Scarcity in a changing World – The Role of Irrigation”, The XIIth EAAE Congress, Ghent, Belgium, August 26-29, 2008. Johnson, D.E., H.W. Phetteplace, A.F. Seidl, U.A. Schneider, and B.A. McCarl (2003), "Selected Variations in Management of U.S. Dairy Production Systems: Implications for Whole Farm Greenhouse Gas Emissions and Economic Returns". 3rd International Methane and Nitrous Oxide Mitigation Conference. Beijing, China, November 17-21, 2003. McCarl, B.A., U.A. Schneider, B.C. Murray, R.D. Sands, and J.R. Williams, "Economic Potential of Greenhouse Gas Emission Reductions: Comparative Role for Soil Sequestration in Agriculture", in Proceedings of DOE First National Carbon Sequestration Conference, Washington, May 14-17, 2001. McCarl, B.A., and U.A. Schneider, "Economic Potential of Biomass Based Fuels from Agricultural Sources", in Proceeding of Conference Sustainable Energy: New Challenges for Agriculture and Implications for Land Use. Edited by E. van Ierland, A. Oude Lansink and E. Schmieman. 2000. Marland, G., B.A. McCarl, and U.A. Schneider. "Soil Carbon: Policy and Economics." Carbon Sequestration in Soils: Science, Monitoring, and Beyond. Proceedings of the St. Michaelis Workshop. N.J. Rosenberg, R.C. Izaurralde, and E.L. Malone, ed., pp. 151-178, St. Michaels, MD, Dezember 3-5, 1998. Schneider, U.A. "Agricultural Sector Analysis on Greenhouse Gas Emission Mitigation in the U.S." PhD-Dissertation, Department of Agricultural Economics, Texas A&M University, December 2000. Schneider, U.A. "Quantitative analysis of intra-individual tissue competition at various stages of cell differentiation." MS Thesis, Humboldt University, Berlin, April 1996. Schneider, U.A. and B.A. McCarl. "Economic Implications of the Boll Weevil Eradication." Professional Paper. Submitted to the College of Agriculture of Texas A&M University in partial fulfillment of the requirements for the degree of Master of Science, Department of Agricultural Economics, Texas A&M University, August 1995. Sauer, T., Havlik, P., U.A. Schneider, E. Schmid, G. Kindermann, M. Obersteiner (2009), Agriculture and resource availability in a changing world - the role of irrigation, FNU-182, Hamburg University and Centre for Marine and Atmospheric Science, Hamburg. request personal copy. Schneider, U.A., P. Havlík, E. Schmid, M. Obersteiner, R. Skalsky, T. Sauer, S. Fritz (2009), Food production impacts of alternative global development scenarios, FNU-181, Hamburg University and Centre for Marine and Atmospheric Science, Hamburg. request personal copy. Havlik, P., U.A. Schneider, E. Schmid, H. Böttcher, S. Fritz, R. Skalský, K. Aoki, S. de Cara, G. Kindermann, F. Kraxner, S. Leduc, I. McCallum, A. Mosnier, T. Sauer, M. Obersteiner (2009), Global land-use implications of first and second generation biofuel targets, Forestry Program, International Institute for Applied Systems Analysis, Laxenburg, Austria. request personal copy. Jantke, K., and U.A. Schneider (2009), Opportunity costs in conservation planning of the case of European wetland species, FNU-180, Hamburg University and Centre for Marine and Atmospheric Science, Hamburg. request personal copy. Jantke, K. and U.A. Schneider (2009), Multiple-species conservation planning for European wetlands with different degrees of coordination, FNU-179, Hamburg University and Centre for Marine and Atmospheric Science, Hamburg. request personal copy. Sauer, T., P.M. Link and U.A. Schneider (2008) The role of water resources in agricultural land use modeling: an extension of the land use model KLUM, FNU-167, Hamburg University and Centre for Marine and Atmospheric Science, Hamburg. Johnson, D.E., H.W. Phetteplace, A.F. Seidl, U.A. Schneider, and B.A. McCarl (2003), "Selected Variations in Management of U.S. Dairy Production Systems: Implications for Whole Farm Greenhouse Gas Emissions and Economic Returns". Paper for 3rd International Methane and Nitrous Oxide Mitigation Conference.